I think this was like one of the first translated versions of Japanese sewing books by Tuttle Publishing and it was such a sensation. 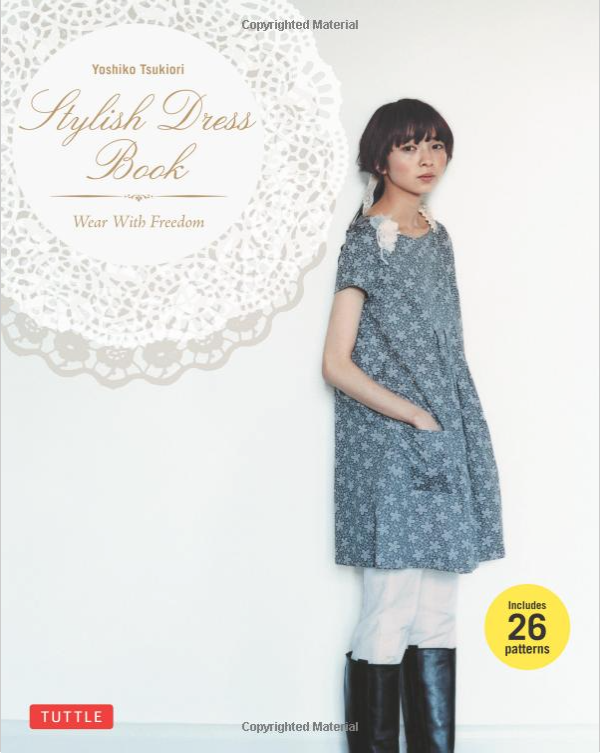 I completed 2 sewing projects from this book and even if the book is 3 years old, the pieces are not out of style. I’m going to show you dress pattern “H”.. This one is a bit confusing as there is a yoke and the straps have to come out of the yoke ? Bewilderment. Somehow I figured it out but it wasn’t like in the steps that was given. This one I turned into a blouse that hits around my hips. There is a side zipper involved but I could wear it without unzipping. It flares out quite a bit so maybe if I make another version I will take in the back. From the middle. Wonder if that will work.